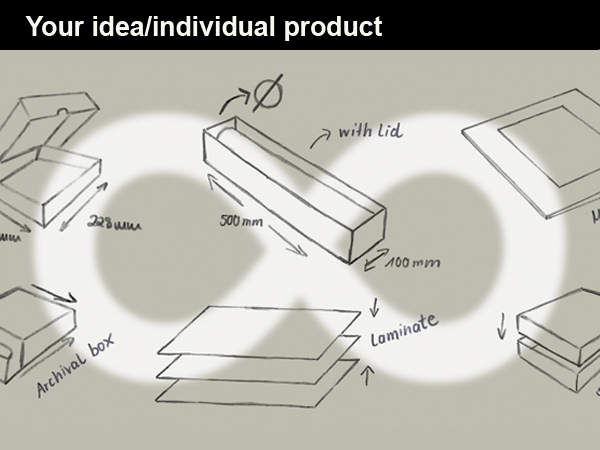 In addition to our standard product assortment you have the opportunity to configure and infact even design your own unique product with us. 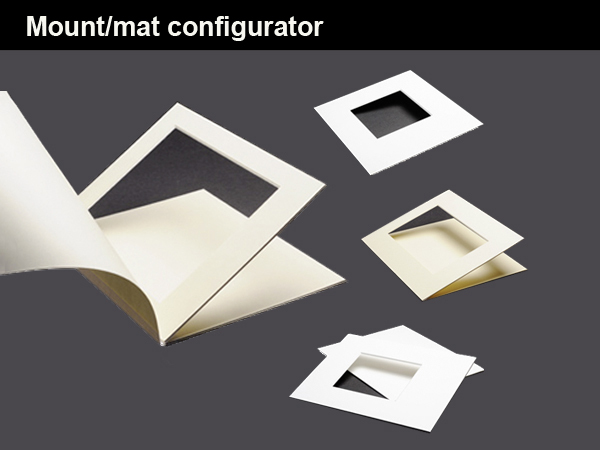 Using the KLUG Mount configurator you can easily and effectively dimension mounts, passepartouts, signatures and other flat materials. After a quick online data entry you can order the desired product online or simply ask for a price quotation. The precision and economic efficiency when using a mount configurator is far superior to that of the conventional, manual method of fabricating passe-partouts. 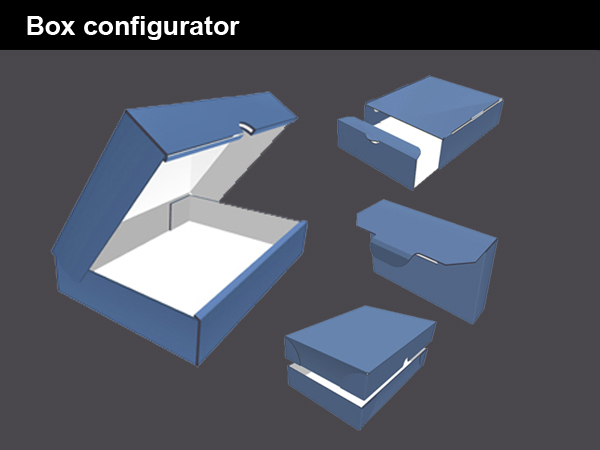 Using the KLUG Box Configurator you can easily and effectively design and dimension various types of boxes using materials of your own choice. After simple online data entry, you can order the desired product or simply ask for a price quotation. According on your ideas, we will work together with you to develop and create your customised product..